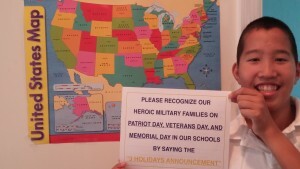 The “3 Holidays Announcement” is Spreading Across the Map! Governor Peter Shumlin of Vermont shared my letter with the Agency of Education and Secretary Rebecca Holcombe and he encourages the recognition of military families in Vermont Schools. The State Superintendent of West Virginia is forwarding my letter to the staff who work with the schools and the military. 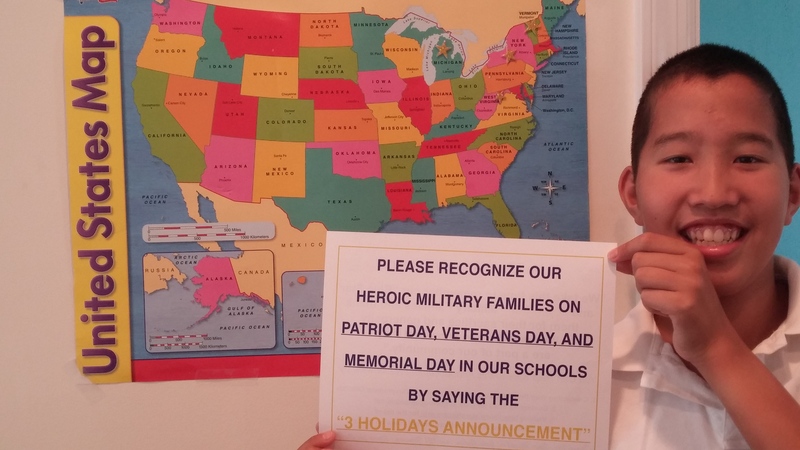 The State Superintendent of Michigan is sending out a letter in early November before Veterans Day requesting local school districts to consider activities to acknowledge the actions of the military and their families.